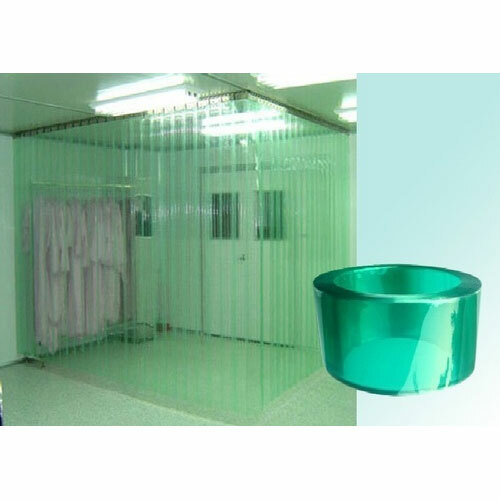 Manufacturers& Suppliers of Anti-Static PVC Strip Curtains from India. Anti-Static Strip curtains are specially formulated to reduce the static charge normally associated with plastic strip. They have a smooth finish and are designed for low traffic environments. Anti-Static PVC Strip Curtains are designed for a variety of indoor applications where it's important to reduce the amount of static electricity, such as in data centers and areas with sensitive electronic equipment. 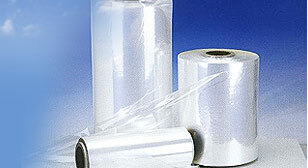 They are also great for clean room applications as a barrier between openings in a lab environment. We bring forth vast industrial experience and expertise in this business, involved in offering a high-quality range of Anti Static Curtain. Anti-Static curtain are a great way to divide workspaces while also attending to the static-sensitive nature of certain products. It is important to understand that “anti-static” are terms that are used to subdivide electro static discharge into additional detail. Anti-static materials are usually referred to as any material which inhibits turboelectric charging. Our anti-static strip curtains can be configured to meet the needs of your strip door application. 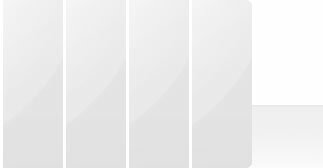 Choose from different strip door hardware mounting options. We are manufacturers & suppliers of high-grade Welding Grade Curtains.Welding grade PVC curtain is suitable for curtaining arc weld areas and minimizes the risk of 'welding flash' to other employees that may be in close proximity to welding. We are the most trusted name amongst the topmost companies in this business, instrumental in offering a high-quality array of Welding Grade Curtains. Offered Welding Grade Curtains are applauded in the market for its heat proof nature. These curtains are used by welders who must perform welding tasks in the vicinity of other personnel. 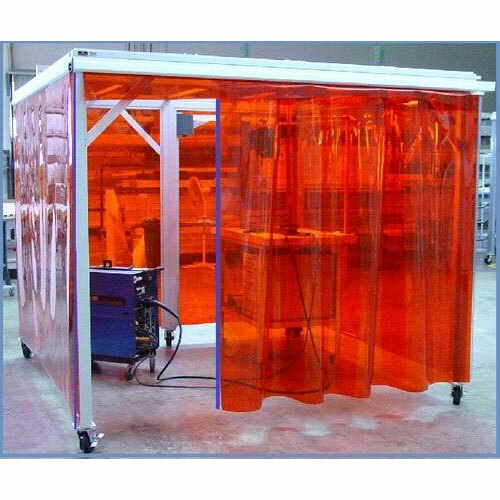 We are giving this welding curtain at nominal rates without compromising the quality. The strips of these doors are made of transparent or colored plastic in full or partial overlap, these strips can create real partition walls suitable to divide rooms and sheds.